All Posts / Our Championships / Travelers Curling Club Championship gets underway Monday in Kingston, Ont. Dreams of winning a Canadian curling championship will come true for two of the 28 teams who open play Monday in the 2017 Travelers Curling Championship at the Cataraqui Golf and Country Club in Kingston, Ont. 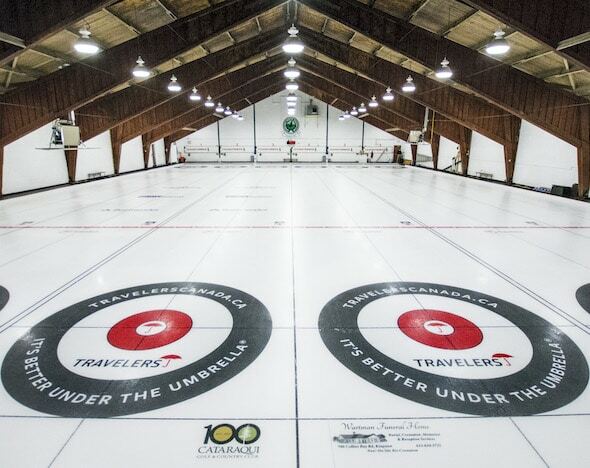 The Cataraqui Golf and Country Club in Kingston, Ont., is hosting the 2017 Travelers Curling Club Championship. (Photo, courtesy Cataraqui Golf and Country Club). Canada’s best club curling teams will be getting an elite national championship experience. All 14 of Curling Canada’s Member Associations (10 provinces, three territories and Northern Ontario) are represented in both genders. The teams will play a round-robin draw leading to the playoffs Friday and Saturday, Nov. 24 and 25. Each team is allowed only one player who has played in a provincial/territorial Juniors’, Men’s (Brier), Women’s (Scotties) or Seniors’ championship in the current or previous four curling seasons, or participated in a full-field Grand Slam event in the current or previous four curling seasons. A trio of former Travelers Championship winners are in the field in Kingston. 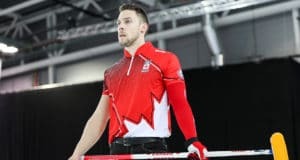 On the men’s side, Newfoundland/Labrador’s Andrew Symonds from the RE/MAX Centre in St. John’s is looking for his second title in three years after prevailing in 2015 at Ottawa. Vice-skip Mark Healy and lead Keith Jewer also were on that 2015 team, while second Dave Noftall will be pursuing his first Travelers title. On the women’s side, Alberta’s Nanette Dupont of the Lethbridge Curling Club is looking for Travelers victories seven years apart. She prevailed with a different lineup in 2010 at Charlottetown; this time around, she’s backed up by third Samantha Davies, second Kendra Nakagama and lead Avice DeKelver. Also, Manitoba’s Stacey Fordyce is back with the same lineup with which she won in 2013 at Thunder Bay, Ont. — third Christy Erickson, second Stacey Irwin and lead Pam Gouldie. Back again at the Travelers Curling Club Championship is the annual fundraising challenge to benefit youth curling across Canada through the Curling Canada Foundation. A year ago in Kelowna, B.C., it was teams from Manitoba and Ontario claiming gold medals. Winnipeg’s Tracy Andries team from the Fort Rouge Curling Club won the women’s gold, while Kingston’s Wesley Forget from the same Cataraqui club that will be hosting the 2017 Travelers Curling Club Championship won the men’s gold. 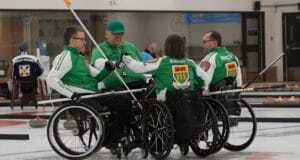 Since the first Travelers Curling Club Championship in 2009 in Toronto, Alberta has won the men’s title three times, while Ontario and Saskatchewan have claimed two titles and Newfoundland/Labrador has one. On the women’s side, Ontario and Manitoba have each won three times, followed by Alberta and Prince Edward Island with single victories. The 14 men’s and 14 women’s teams will be split into two seven-team round-robin pools. After a single round-robin, the top three teams in each pool will make the playoffs. The first-place teams will be seeded directly into the semifinals, Friday, Nov. 24, at 6:30 p.m. (all times Eastern). The second- and third-place teams will meet in crossover quarter-finals Friday at 1:30 p.m., with the winners moving into the semis. The semifinal winners will play for gold, and the losers will play for bronze, Saturday, Nov. 25, at 9 a.m.
Scores and standings from the event will be available at www.curling.ca/scoreboard.